Home is where most of us spend the majority of our time. If you have children, home is an even more sacred and protective space to exist. You want to have peace of mind knowing that you have done everything possible to avoid any safety risks. The good news is that technology has provided numerous ways to assure you and your family’s safety. Check out this brief overview of a few of the most useful ways in which your household can utilize technology for added safety. The progress of civilization has adequately created certain substances that are terrible for our lungs. Cleaning products, beauty products, and a long list of other pollutants can make your home’s breathing air less than desirable in quality. Technology, however, has given us the excellence of purification. There is not an air conditioning unit in production today that does not come equipped with a mechanism that is responsible for filtering your home’s air. 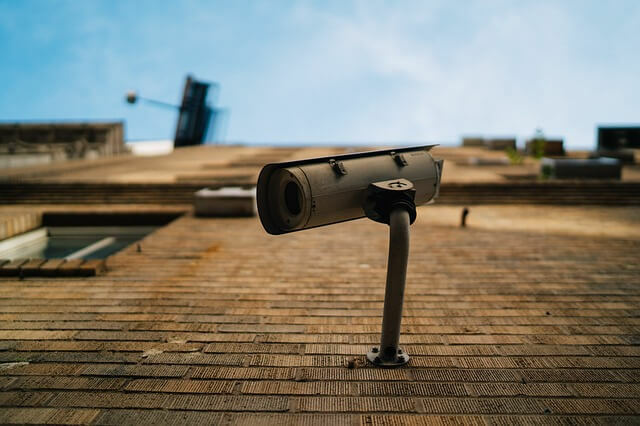 There are numerous technologically inclined security devices that can absolutely boost your ability to keep your home safe. Advances in technology have afforded us the ability to have a recorded eye on every nook and cranny of our home 24 hours a day. Of course, that could be a bit extreme, but you get the point. Technology has crafted security cameras, motion sensors, instant notifications for the local authorities, and more. Technology has granted us the use of the internet and all of its abilities, but it is a two-edged sword. Now that we can (and do) do just about everything over the internet, more and more of our sensitive pieces of information are being put at risk. Luckily, our friend, technology has also provided various ways to ward off information vandals. Encryption software is helpful for sending important emails and making online purchases. Smartphones have advanced their technologies into our homes, keeping us safer through the use of interactive apps. You can turn lights off and on while you are away to make your home seem occupied. You can even lock and unlock your doors through the touch of a button with the right integration of technology. Communication is a great way to add security. Instead of trying to find a cordless phone (or much worse, a corded phone) in the case of an emergency, everyone has their own personal communication device in their pocket. Intruders have a much harder time completing their objective with the powers of technology in full swing.